The administration of President Trump implemented a ‘zero tolerance’ policy to criminally prosecute and jail all illegal border crossers even those traveling with their children. The U.S. government may have separated “thousands” more immigrant children from their parents than previously known but inadequate record-keeping means the exact number is still unclear, an internal watchdog said on Wednesday. The Office of Inspector General at the U.S. Department of Health and Human Services (HHS) said the agency had identified many more children in addition to the 2,737 that were included as part of a class action lawsuit challenging the separations brought by the American Civil Liberties Union last year. 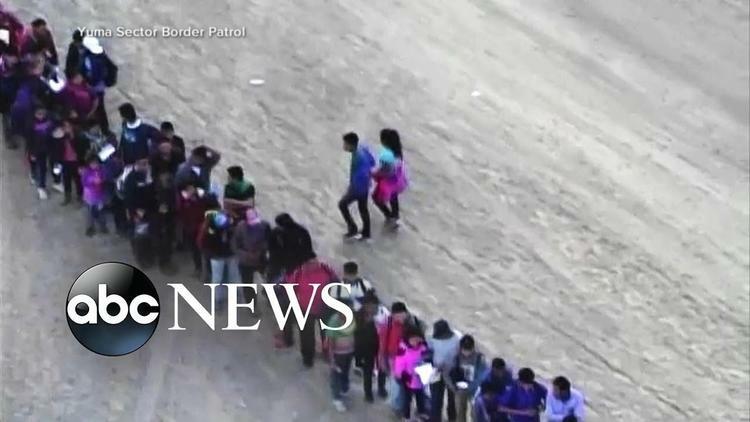 The administration of President Donald Trump implemented a ‘zero tolerance’ policy to criminally prosecute and jail all illegal border crossers even those traveling with their children, leading to a wave of separations last year. But the auditor said in a report that prior to the officially announced policy the government had ramped up separations for other reasons related to a child’s safety and well-being, including separating parents with criminal records or lack of proper documents. Those separations were only tracked informally, making it impossible for the auditor to know the exact number. The policy sparked outrage when it became public, and the backlash led Trump to sign an executive order reversing course on June 20. But separations have continued since then, the report said. HHS, which runs the Office of Refugee Resettlement that is responsible for the children’s care, told the auditor that at least 118 had been separated between July 1 and Nov. 7, 2018. The U.S. Department of Homeland Security (DHS) said that 65 of those 118 children were separated because the parents had a criminal history but in some cases, the agency did not provide the details of that history. The auditor raised concerns that the government is still not adequately counting separation cases. “It is not yet clear whether recent changes to ORR’s systems and processes are sufficient to ensure consistent and accurate data about separated children,” the report said. The news comes at a time when a new migrant caravan has left Central America including many families with children as they flee violence and drug wars in their countries, which has been made worse by decades of U.S. policies and interference in the region, seeking a better life and safety in Mexico and the United States. The Migrant Exodus as its members calls it is the second wave of migration north this year.